Maggots in my worm bin? 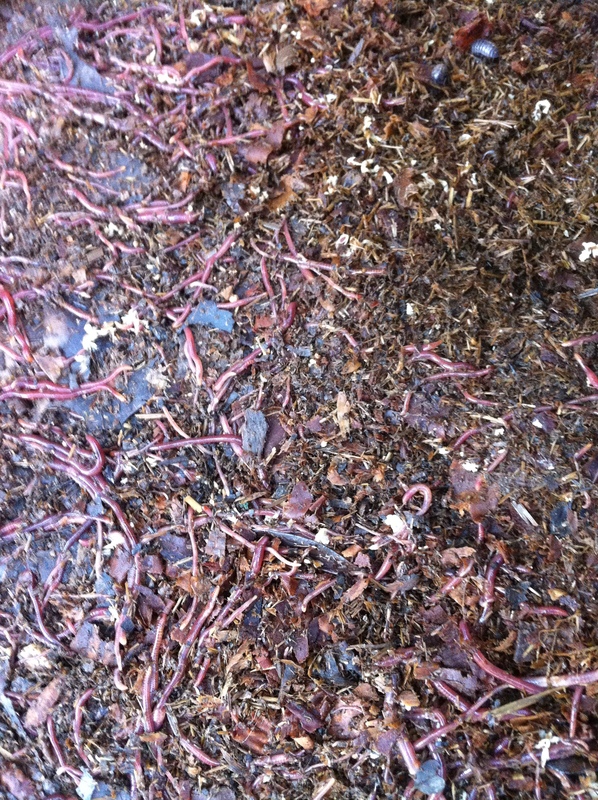 Below is a picture from a customer who asked the question, “What are these in my bin and are they harmful to the worms”? 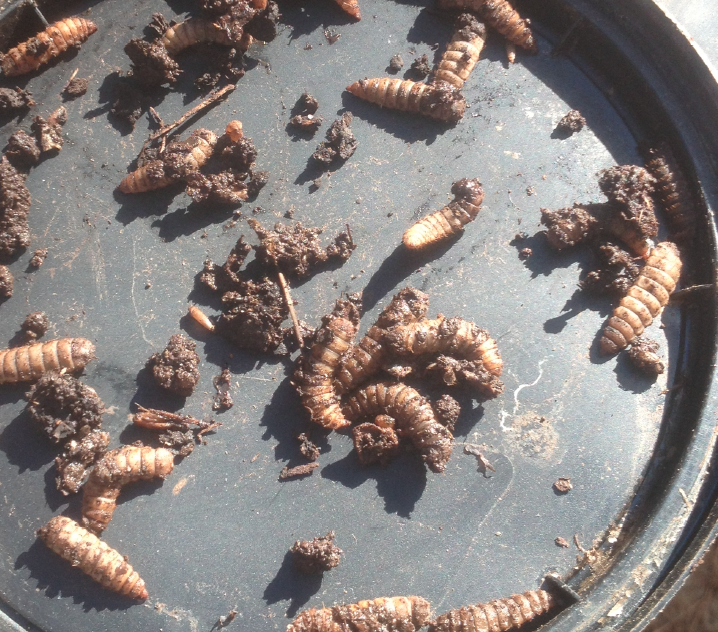 These are probably black soldier fly larvae. They are a little unsightly, but are good composters in their own right and are not harmful to your worms. These tend to show up in my manure piles when the weather heats up. I will remove them most of the time from my worm bin if they show up, but it is not necessary. Here’s another example of a raised bed for worms. It’s next to the house and gets full shade. It’s next to a spicket for easy access to water and/or drip irrigation. I used some landscaping blocks to construct the borders and filled it with compost. After adding a Tx Jumper Starter, I cut a piece of old carpet to cover. 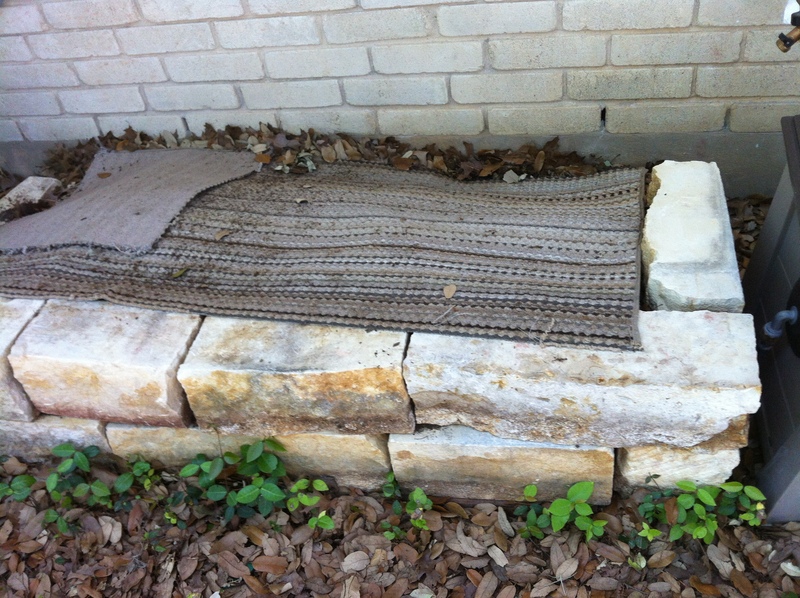 The cover acts as a permanent mulch blanket to keep in moisture and protects the worms. I like carpet or an old rug because they last a long time, and I believe the weight gives the worms a sense of security that promotes surfacing and feeding. Within a few months of setting this up, the worms started to really take off. I continue to keep moist, and fed with compost. The worms do the rest. It’s always fun to pull back the carpet and see a bunch of happy worms (Texas Jumpers). 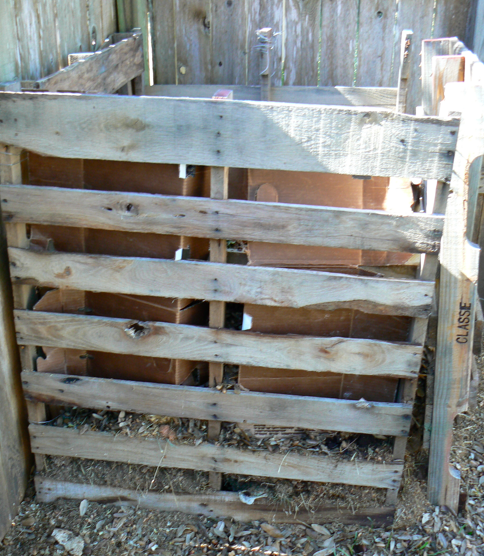 Check out this link to see how to make a compost bin out of pallets. Pallets can usually be acquired for free and make a great bin for breaking down your organic matter before feeding your worms or your plants. I am looking to have a storage building built on my property and called a local builder that I came across at http://www.bbarns.com. After talking a few minutes, we realized we had met earlier. Turns out a year or more ago, Robert got a pound of European Nightcrawlers from me. In addition to talking storage building construction, Robert talked all about how well his worm bed was doing and sent me this great pic. Not only does he have a great looking worm bed, but his vegetable garden is the envy of the neighborhood. Thanks for sharing, Robert. TexasRedWorms will be in Boerne, TX this Saturday the 19th at 33 Herff Road, Boerne, TX. 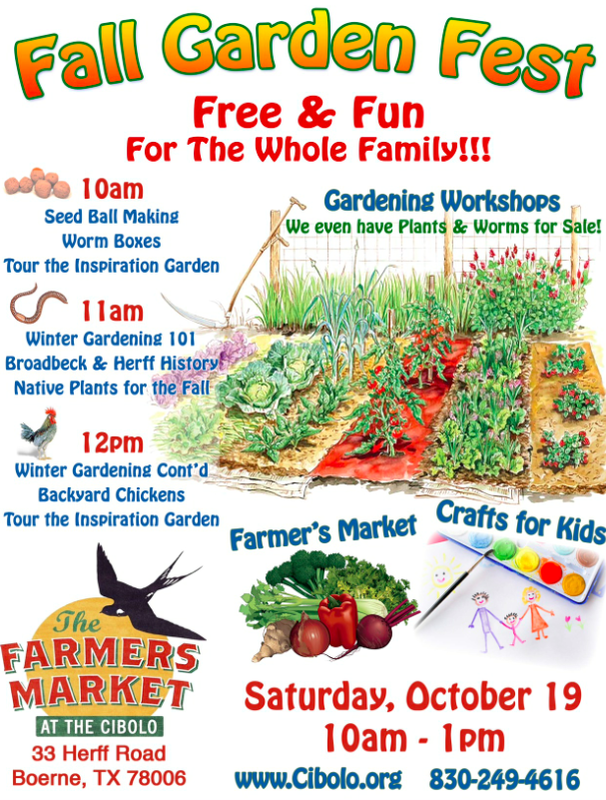 We will be there to talk about composting with worms, setting up, and other how to information. We’ll be there from 10am-11am Saturday morning. 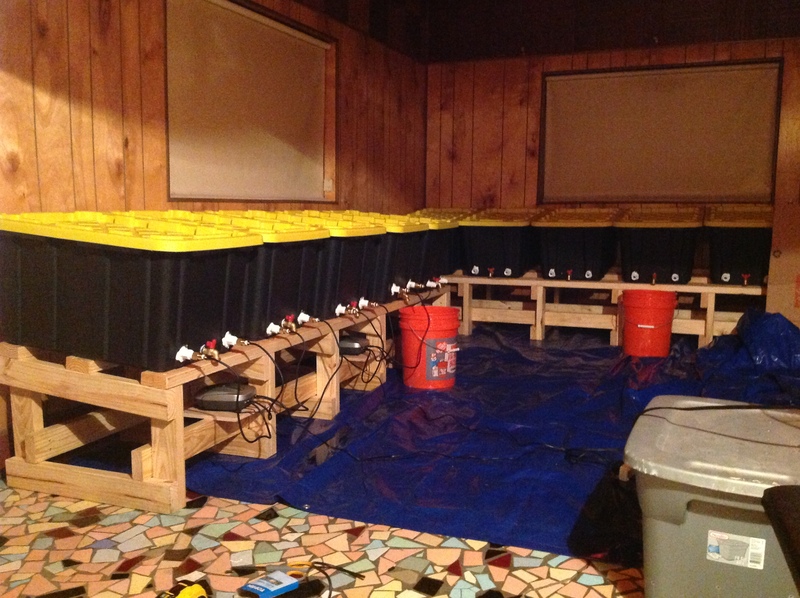 Solaris Ag Base from Houston, TX is producing worm castings from juice bars all over the Houston area. Anson Woods and his team are expanding their operation into a warehouse facility. Worm castings (black gold) the perfect fertilizer produced from nutrient dense juice pulp and coffee grounds by Anson’s worms. Instead of filling up dumpsters, this waste is being used to produce soil enriching and life giving worm castings packed with pH neutral and beneficial micro-organisms. 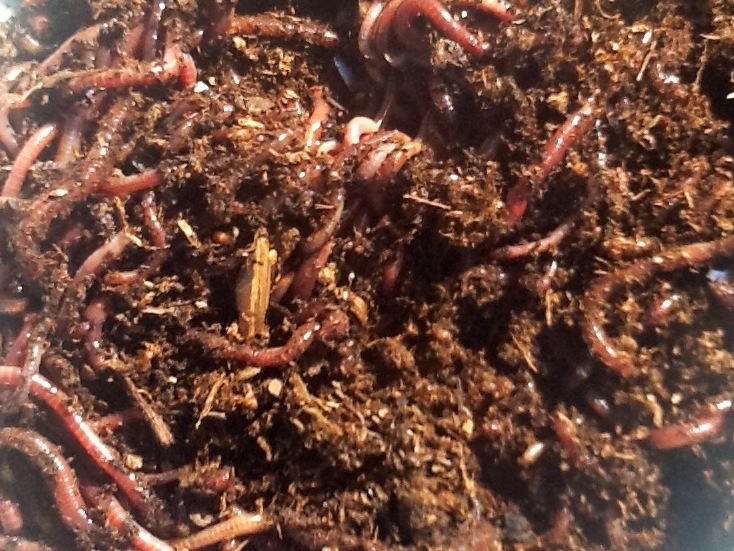 Congrats to Anson and Solaris Ag Base on their continued success, and thank you for choosing Texas Red Worms as your composting worm supplier. 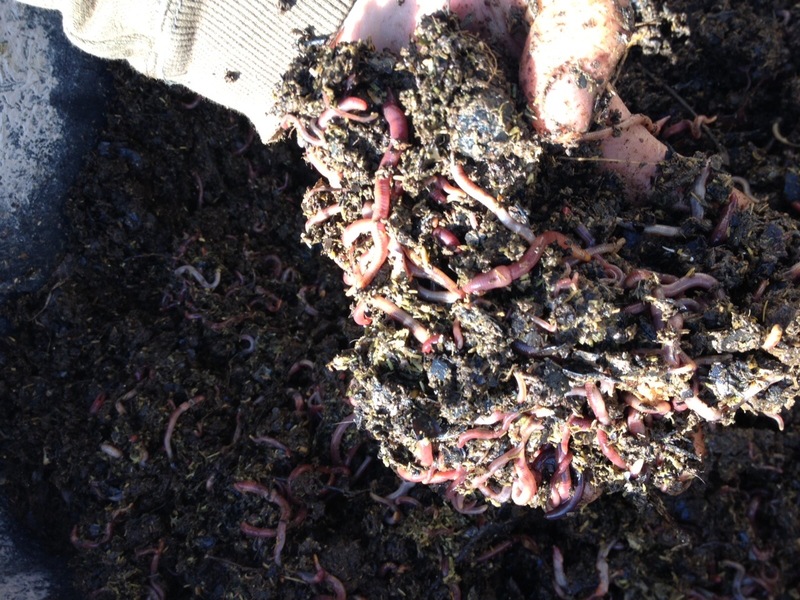 Take a look at this pic from Anson’s original worm farm. What a gorgeous set up!